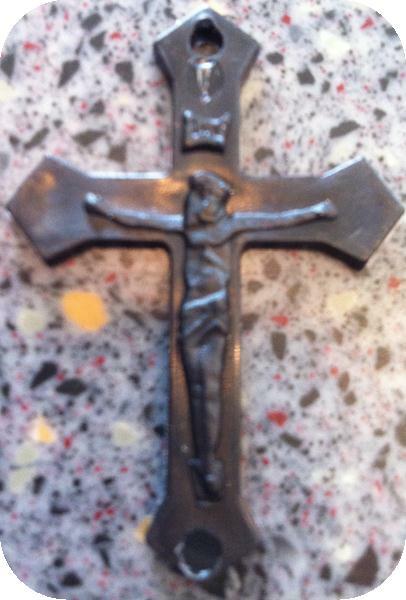 The Black Crucifix, utilized by missionaries for our troops! Our Black Crucifix was added when the need developed to send rosaries to our military stationed around the world. The black crucifix with black beads and string is easily hidden so as to not put our servicemen in danger, and gives them the opportunity to have a few moments of prayer wherever they are. I direct a rosary making group and we have used the black crucifix for many years very successfully. We donate an all black rosary to prison ministries upon their requests. Thank you for providing us with such a beautiful crucifix at such an affordable price. God bless. Click the button below to add the Black Crucifix to your wish list.